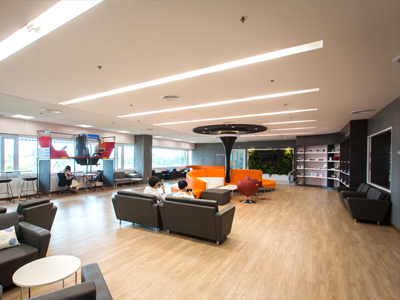 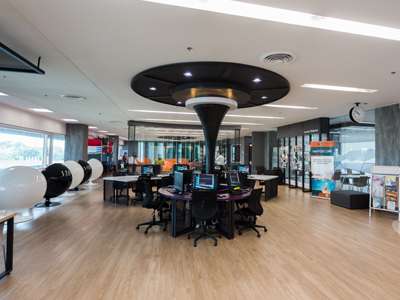 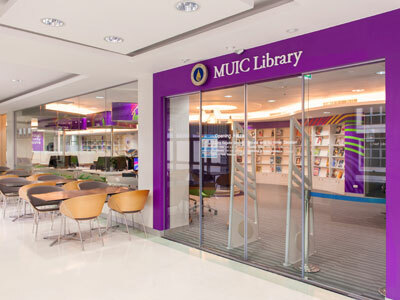 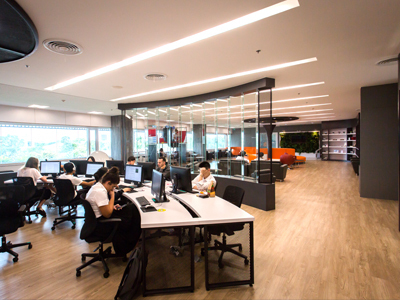 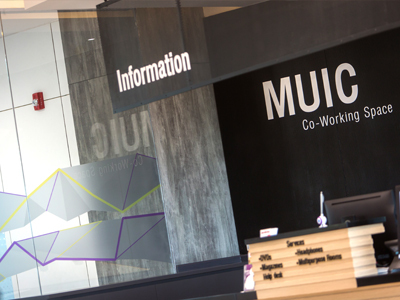 The MUIC Library, located on the 3rd and 4th floors of Building 1, is part of the broader Mahidol University library system and offers an ever-expanding collection of English-language books, periodicals, audio-visual materials and electronic resources. 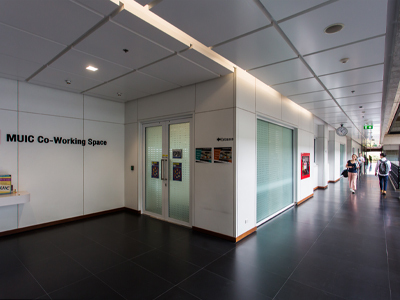 Saturdays : 9:00 a.m. to 6:00 p.m. 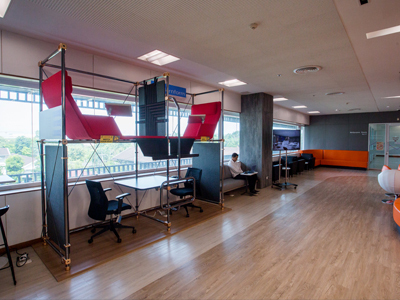 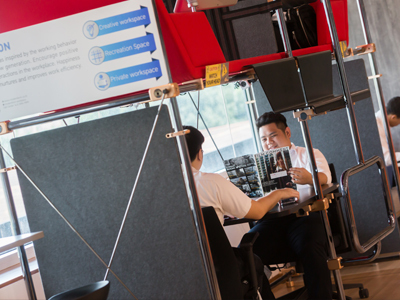 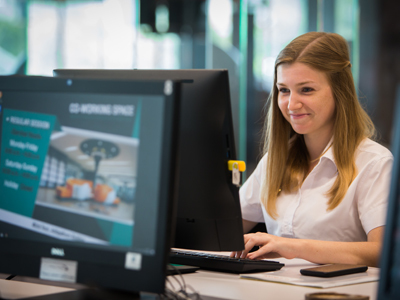 The Co-working Space is the newest place in the campus for researching, writing, and even chilling. 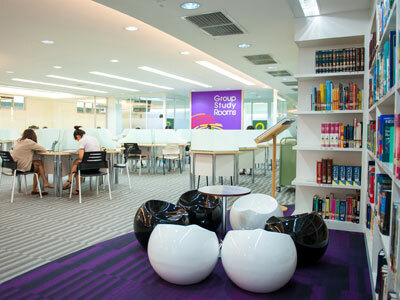 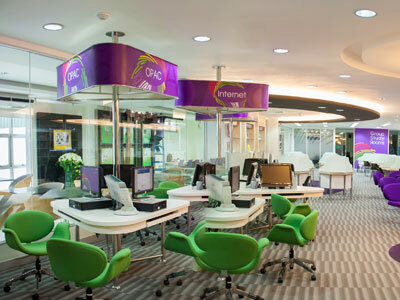 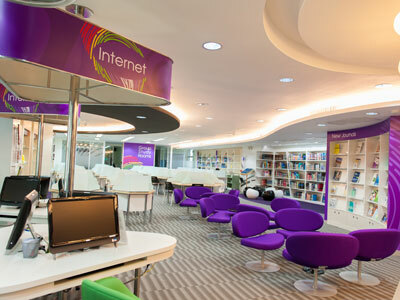 The enormous floor area, 820 sq.m, divided into sectors like the Computer, Study, Relaxation, and Quiet zones, the Multipurpose Rooms, and Alumni Corner, assures every visitor that there is enough space for all. 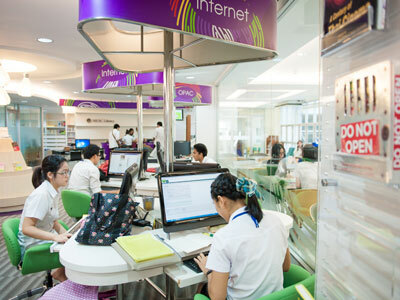 With MUIC’s signing of an MOU with the Thailand Creative and Design Center (TCDC), the Co-working Space now hosts TCDC’s community project called mini-TCDC Link, a resource center that provides students and researchers access to online design databases and TCDC publications, among others. 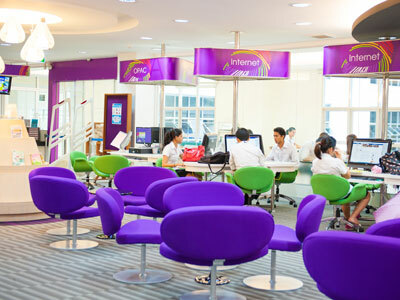 Saturday-Sunday: 10:00 a.m. to 8:00 p.m.